What was good about the day? Throughout all of this trouble I must have had at least 15 sets of friendly people stop and ask if I needed help. I came away from these interactions loaded with food and water. From a police car I received juice and cake. From an ambulance I received a care package containing water, biscuits, chocolate bar and cake. The police car came by again and dropped off another juice. The ambulance guys (their station was just up the road) came by again and delivered a plate of hot food (rice, chicken and tomato). A boy from a nearby house dropped off a sandwich and bottle of water. A family gave be a bunch of apples. The list goes on. Only one time did I receive negative attention. This was from a policeman who had been in the car which gave me juice and cake. At my third roadside repair location, he pulled in beside me, alone in an unmarked car, telling me to ‘hurry up’. I tried to explain the ongoing trouble I was having, but he just told me to ‘hurry up’. He must have been getting nervous about me being in the area for so long. I’m not sure why, although it might have had something to do with religious celebrations going on nearby. On either side of me were the sounds of prayer. It is a religious holiday today, part of a multi-day celebration in the name of Imam Hossein. In short, I didn’t ride very far because of bike trouble, but I had a nice time meeting more Iranian people and being gifted with enough food to feed a small army, or one hungry cycle tourist. My short ride has taken me into an agricultural area in which there isn’t really anywhere hidden to camp. I rode down a track that has led to a dead-end amongst crop fields. A couple of kids came by and mucked around nearby. A man soon picked them up in a car. I chatted briefly with the man. I assume that the land is his and that his family are using their holiday time to visit their farm. The kids were just bored wherever they were and went exploring for a while. But with the day ending it was time to get going. Their dad came to get them and they are returning to their proper home. It’s now completely dark. Let’s hope tomorrow goes better than today! 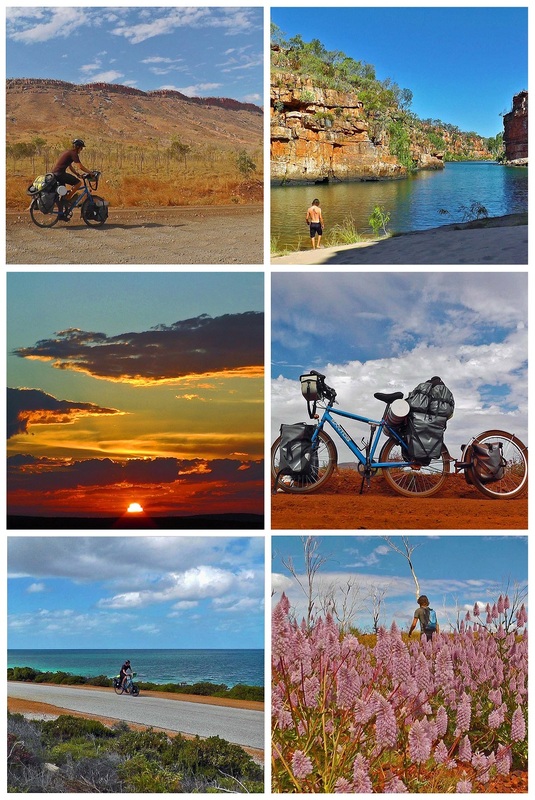 In pursuit of a dream, I left my home in Western Australia and began cycling around the world. I write in my diary every night so that one day I can look back on my journey and relive those precious moments I would otherwise not remember. What motivates me to keep up a daily diary? To provide a constant story in the face of inconstant internet access, I accumulated a backlog of material before commencing publication. Consequently, my diary is depicting events that happened over a year ago. Copyright © Mark Gresser. All rights reserved.